Originally intended for the Barnyard Animals show, it was completed a couple weeks too late. 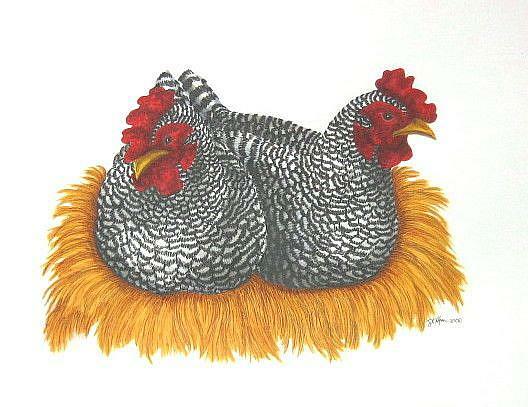 Done from sketches made at the Cuyahoga County Fair, these Barred Plymouth Rock chickens were a subject I'd long wanted to do, because of their shape and pattern. I was pleased with the finished results.